Prelims level: Basic knowledge of Minimum income guarantee scheme. Mains level: The news-card analyses the issues and challenges w.r.t the idea of idea of minimum income guarantee scheme in India, in a brief manner. This kind of ‘Robin Hood’ approach seeks to absolve the state of its responsibility in providing basic services such as health, education, nutrition and livelihood. Mains level: The news-card analyses the direct income support scheme for farmers as proposed in budget 2019, in a brief manner. According to some experts, the proposed Rs 6,000 annual direct income support to small and marginal farmers in Budget 2019 is a drop in the ocean. States like Telangana and Odisha have done much better with their Rythu Bandhu and Kalia schemes respectively. It must be seen that this Rs 72,000 crore as direct income support to farmers is nowhere near the annual loss of about Rs 2,65,000 crore that farmers have been suffering in recent years because of the low prices they have received due to restrictive marketing and trade policies. Until major marketing reforms are initiated, there is no hope of doubling farmers’ real incomes by 2022-23. The enhanced interest subvention only leads to diversion of funds from agriculture to non-agriculture uses. There is ample evidence that in some states agri-credit is even more than the value of agri-output. So, this scheme of interest subvention needs to be reviewed. The real need is to expand the reach of farmers to institutional credit. The Kisan Credit Card (KCC) was an innovative policy of the Vajpayee government, but the latest survey of NABARD on financial inclusion (2015-16) shows that only about 10 per cent of farmers are using these cards. One needs to understand the constraints and find solutions to expand and deepen its coverage. The schemes for cow protection and upgrading their breeds and having a separate outfit for fisheries are steps in the right direction, but they cannot make any difference to the current problems faced by farmers. It will take years before any of these schemes can deliver. Increasing milk production, without its pricing being competitive and remunerative to farmers, may not do much benefit to farmers. However, there is a need to know first how much of India’s population is poor. There is no robust figure from the government side in the last five years. Following the Tendulkar poverty line, the previous government had come up with an estimate of about 22 per cent poverty in the country in 2011. It was contested by many and later, the Rangarajan Committee had put it at 30 per cent. The World Bank’s poverty clock puts it at 5.5 per cent. Even if one thinks that roughly one-fifth of India needs income support — say Rs 5,000 per month — the bill will amount to about Rs 3.5 lakh crore. The income support scheme is doable if the food subsidies and MGNREGA are drastically pruned and targeted to this bottom 20 per cent of population. Food subsidies and MGNREGA are costing the government more than 2.2 lakh crore, and a sizeable part of this is either lost in leakages or is not utilised productively. Similarly, fertiliser subsidies can also be made through direct income support to farmers even those with holdings up to the size of four hectares. Gradually, the states can be encouraged to put even power subsidy through direct income transfer and charge the market price for power, recovering at least its cost of supply. These can then be fundamental reforms, switching from the price policy approach to income policy approach, for helping the small and marginal farmers and poor consumers. The current problems of the peasantry are not on the supply, but on the demand side; it is about low prices. Mains Paper 3: Economic Development| Indian Economy and issues relating to planning, mobilization of resources, growth, development and employment. Government Budgeting. Prelims level: Basic knowledge of the reform rewards proposed in Budget 2019. Mains level: The news-card analyses several rewards of reforms as proposed in the Budget 2019, in a brief manner. The expansive Budget 2019 reflects the fruits of fiscal consolidation, tax reform and streamlined delivery of subsidies. Since Budget 2019 is the last before the general election this year, it was widely expected to be an assessment of the government’s performance. There was a debate on whether the Budget should have announced any substantive measures since they would bind the next government, post-election. Painstaking fiscal consolidation, tax reform, more efficient delivery of subsidies, and a rise in the share of capital expenditure, have created the space to reward tax-payers as well as announce a relief measure for farmers in distress without substantially compromising fiscal consolidation. It is fair that the present government, which imposed the painful reforms and undertook difficult action, should also distribute some rewards of that reform. It may be asked how payment of ₹20,000-₹75,000 crore can be made to farmers and the tax benefits given with only a marginal impact on the fiscal deficit. But a larger size economy can afford to spend larger absolute amounts with only a small rise in deficit ratios and borrowing requirements. The fact that India is the sixth largest and fastest growing economy in the world has some advantages as well as responsibilities to equitably share the rewards of growth. Demonetisation, the goods and services tax (GST) and other steps towards formalisation increased the tax base, and it follows that tax rates can themselves be cut. Again it is fair that the aam aadmi, who bore some of the costs of reform, should now benefit from the success of these. It makes good economic sense to move towards a system of a wider base and lower rates. Tax receipts have grown from 10% of GDP — a level at which they had stagnated since the tax cuts after the global financial crisis — to 12%. Although the GST has not yet resulted in a rise in indirect tax ratios above 5.5%, it is likely to do so in the future as it stabilises. The transfers to farmers and tax cuts amount to only 0.4% of GDP this year and are partially funded by a 0.3% rise in tax ratios. The JAM (or Jan Dhan-Aadhaar-Mobile) complex is the other major set of reforms that enable a smaller expenditure to have a larger impact on social welfare. Jan Dhan bank accounts opened through the country and the Aadhaar data base make a cost-effective Direct Benefit Transfer (DBT) possible for farmers. A slight rise in fiscal deficits to fund transfers to farmers does not threaten macroeconomic stability when inflation is low and food prices are crashing. In fact they are likely to help stabilise prices so that farmers do not cut production in the next crop cycle. Moreover, this year, the revenue deficit has been maintained, the primary deficit been reduced, and expenditure on capital account been increased. Better quality of government expenditure as well as the GST tax cuts, reductions in obstacles to inter-State trade, and soft commodity prices will keep inflation low. The Budget points out that highways are being built at the rate of 27 km per day, which makes India the fastest builder in the world. Better implementation and reduction in waste brings down costs across the board. The shift in the Budget date to earlier in the year and the focus on spending in the first half have resulted in a better achievement of sectoral spending targets this year. The size of government borrowing is larger than what the market anticipated, and this has raised G-Sec rates. The rise in gross borrowing is because of higher redemptions but net borrowing is similar to that last year. There was a sharp rise in G-Sec yields that year. As a result, interest payments as a ratio to GDP rose to 3.2 against the budgeted 3. But 3.4% of GDP is not a large fiscal deficit, and market conditions are likely to be more supportive of government borrowing this year. The international rate rise has peaked, with the U.S. Fed turning dovish and indicating that there will be no more rise; it is likely to maintain its balance sheet. Emerging market inflows are set to rise, creating demand for G-Secs up to the current cap of 6% of the domestic market. Soft oil prices will encourage foreign investors to return to Indian markets. But since global growth is slowing, inflows are unlikely to be as large as they were in 2017. Therefore, there will be more room for open market operations (OMO) from the Reserve Bank of India that support the debt market. Softening interest rates will also make banks more willing to hold G-Secs. When international demand is slowing, it is important to maintain domestic demand. Therefore, tax cuts, more income to farmers and various schemes to improve demand for housing, which has been under stress, are all appropriate. It is necessary that sharing of growth benefits is done in ways that sustain growth, reduce distortions, and improve capabilities to participate in growth. Well-targeted transfers can be made without destroying fiscal consolidation and creating macroeconomic vulnerabilities. The Budget continues the effort to reduce transaction costs and improve compliance incentives. Stamp duty amendments that seek to tax just one transaction, which will be shared across State governments, on the basis of the domicile of the buying client, will reduce a major market irritant, increase transactions and take the country further toward becoming one effective market. It will entail an annual expenditure of Rs.75, 000 crore. It would not only provide assured supplemental income to the most vulnerable farmer families, but would also meet their emergent needs especially before the harvest season. It would pave the way for the farmers to earn and live a respectable living. A committee will be set up under NITI Aayog to complete the task of identifying de-notified, nomadic and semi-nomadic communities, especially as they move from place to place in search of a livelihood. These communities are hard to reach, less visible, and therefore, frequently left out. These communities once branded as criminals under the colonial Criminal Tribes Act of 1871, the communities were ‘denotified’ in 1952. They continue to face stigma till this day. To this end, the condition of the denotified, nomadic and semi-nomadic communities merits special attention. The communities which have not been categorised as SC/ST/OBC do not get access to any welfare schemes. The earlier commissions — Renke and Idate — had tried to identify and list these communities. The major recommendations of the commissions have not been implemented till date. The conference, organised by the Centre for Escalation of Peace (CEP) and titled ‘Life and Legacy of Guru Padmasambhava’, was held. 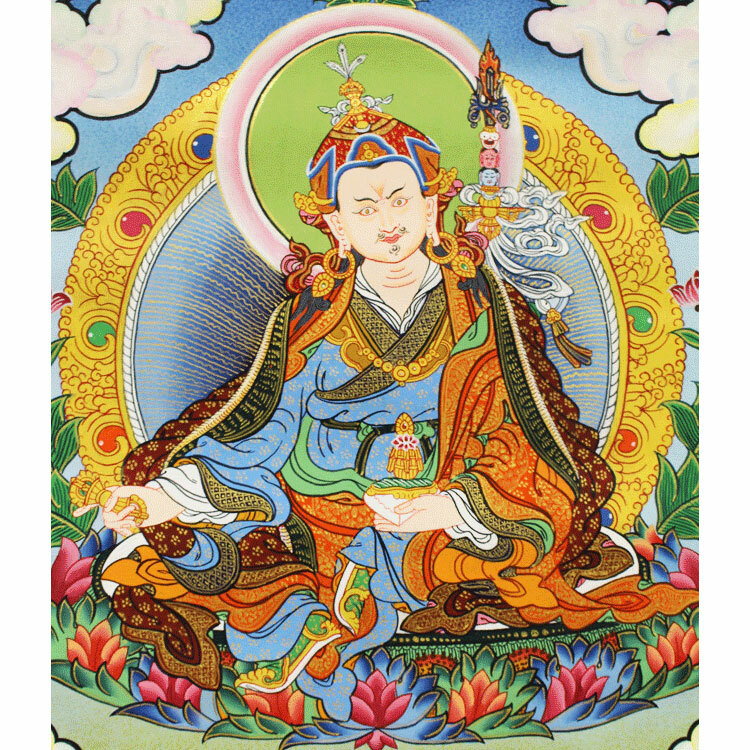 Guru Padmasambhava was born in India and has visited Bhutan two times. He spent a large amount of his time in Nalanda there and then he travelled across the Himalayas. He is known as the second Buddha because he brought Buddhism in Bhutan and other Himalayan countries. There is an image or painting of the guru in every Bhutanese home or temple. Thangka paintings, sculptures and photographs portrayed the life and teachings of the Guru.